WANT TO GET YOUR CAR SERVICED? Don De Rosa Motor Services, your local family run garage providing vehicle services to the Heanor area since 1985. We are a licensed MOT test centre with a fully equipped workshop able to carry out a range of services in Heanor including: repairs, diagnostics and tyre fitting. With over 30 years of experience within the motor trade you can be confident that your vehicle is in expert hands. 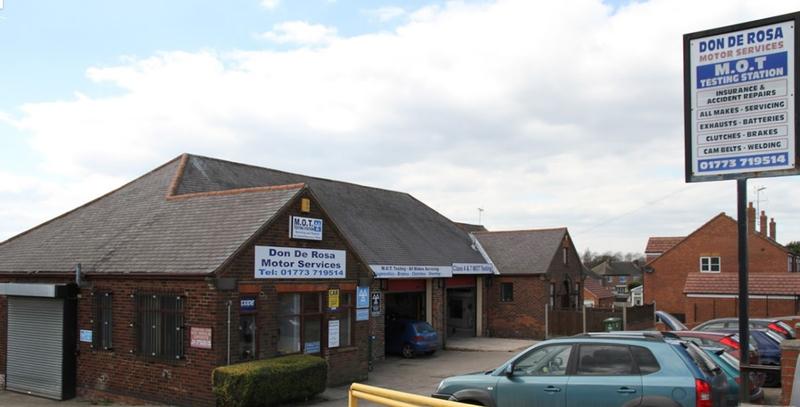 Here at Don De Rosa Motor Services we pride ourselves on providing quality MOT testing in Heanor. This combined with our experienced, friendly staff and easy to use MOT online booking system means you need look no further. Take advantage and book your MOT online today. You can book either a class 4 MOT or class 7 MOT in real time, 24 hours a day, 7 days a week. We can even send you MOT reminders for the following year! Call Don De Rosa Motor Services for your MOT in Heanor or our other services on 01773 719514 or contact us using our Contact Form.